I have always loved animals, especially horses and dogs. Growing up with both I spent many hours training my animals to perform tricks. From my kelpie who rode on the back of my horse, to my mini pony who routinely took Santa to the school fete. As a kid I was known for my love of my animals and ability to train them. After leaving school I studied a Bachelor of Equine Business Management and ventured off into a career in Thoroughbreds. I spent 9 years working with breeding Thoroughbreds, on some of the best properties in Australia. A lot of time spent studying, learning, assessing, analysing, predicting. Watching young stock grow and assessing success of breedings. I also gained my Cert III Equine Veterinary Nurse certificate and worked in specialist clinics and in on farm hospitals. During my time working with horses I always missed having a dog. When I finally plucked up the courage to ask the Farm manager if I could have a dog, others advised me if I asked to have a Labrador, he'd say yes, as he was a bit partial to the breed owning one himself. This I guess is where it all begun, as I gained my first Lab Benson (byb from the classifieds!). And I made every mistake that could be made! He was a terror and chewed and destroyed anything and everything. I learnt quickly but being young my life took a turn and I left to live in the UK. Benson went off to live with my best friend and her two labs. Cutting ahead, after the loss of my Dad, I returned to the UK and couldn't bear being without a dog, missing Benson terribly, I sought out to get another Lab. This is when I purchased Roxy (UK Kennel Club registered). When things didn't work out in the UK, I returned home with Roxy in tow. Leaving the Thoroughbred industry, I set about creating a new life for myself. This is when I decided to venture into becoming a Registered Breeder. 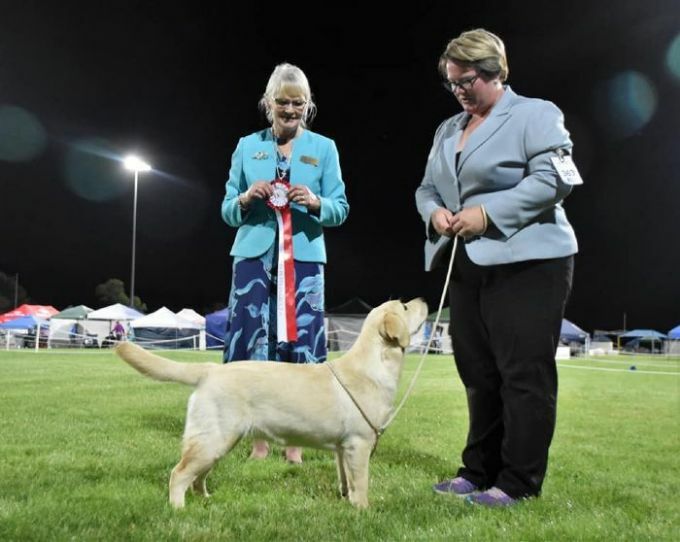 I have now turned the passion I had for Thoroughbred breeding, bloodlines, and development of type, to my love of the Labrador Retriever. This is not something I will do for a short time, this is the life I choose and take very seriously, a lifelong commitment to the breed I adore.